Then it was time for the fun part (for me anyways).... coloring!!! I pulled out my Copic markers and decided I wanted to go with pink flowers today. To achieve this corally pink I used a (new-to-me) color combination of RV25, R46, RV21 and R20. Once I liked how the flower petals looked I began coloring the background. 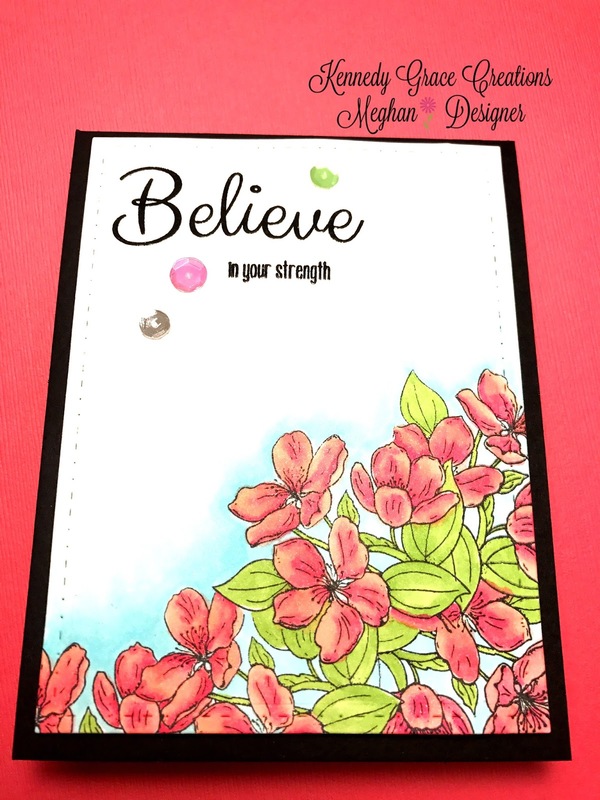 I used B00 to trace closely to the stamped flowers. I then blended it out with B000 and B0000 and the 0 colorless blender marker - fading the color as I rose toward the top of the card-front. Lastly, I colored the leaves with only 2 colors, YG03 and YG17. To finish the card I adhered the stamped and colored panel to a black, Eclipse 100lb., top folding, card base. The Tropical Treasure sequin pack matched my project perfectly, and I added 3 sequins as my finishing touch. 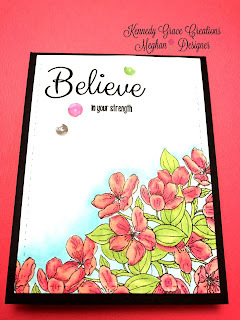 I hope you like my pink, floral, believe card and thank you again for taking the time to visit my post. Hugs! !